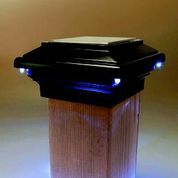 Fortress Accents Post Caps can be lighted with the LED Down lights or the LED Glow Ring attachments. 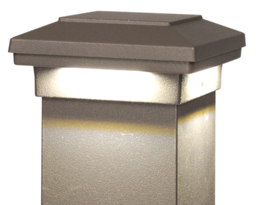 The die cast aluminum, powder coated caps are available in 5 sizes and 4 colors. 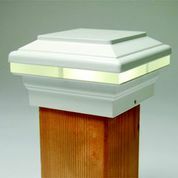 Caps are sold separately from the light options. 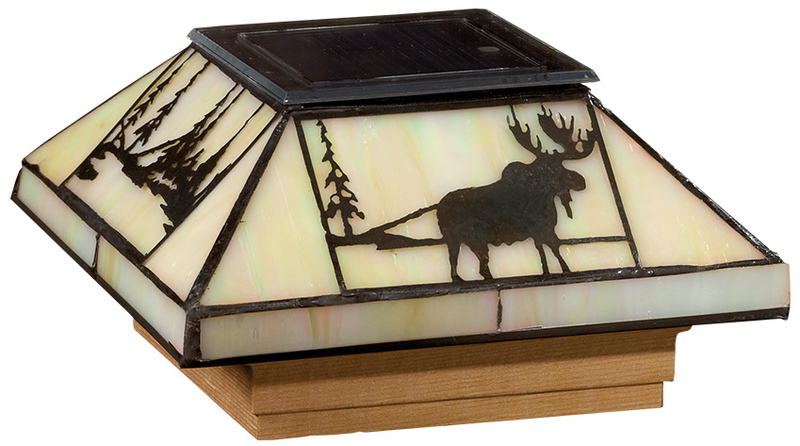 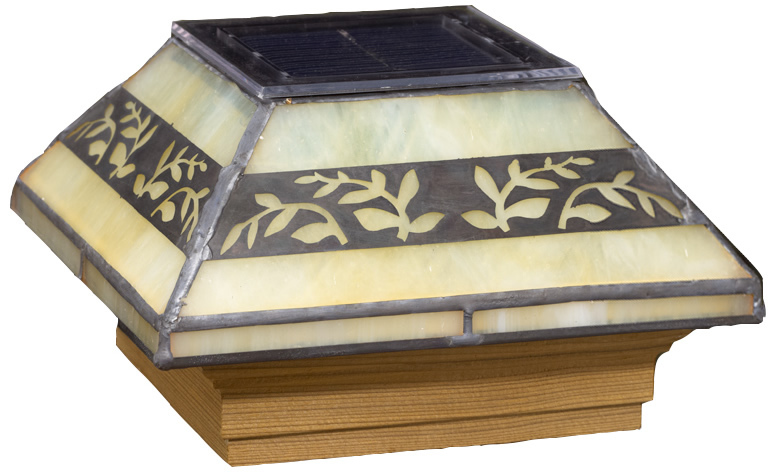 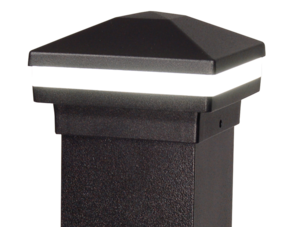 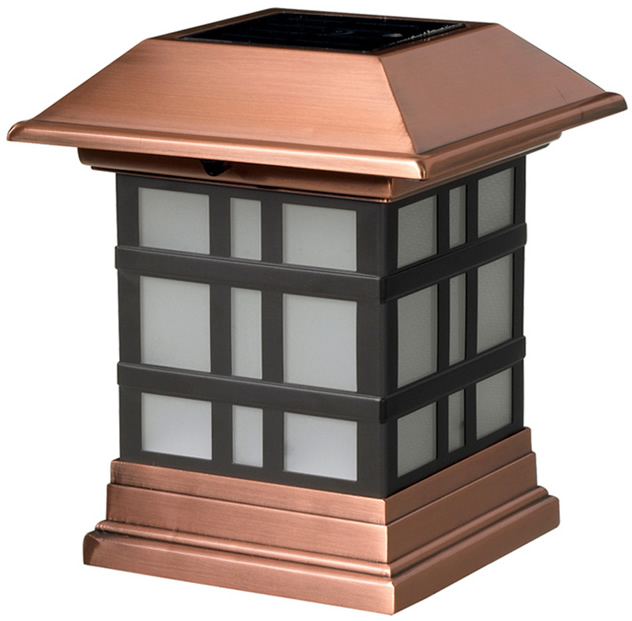 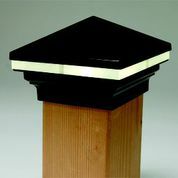 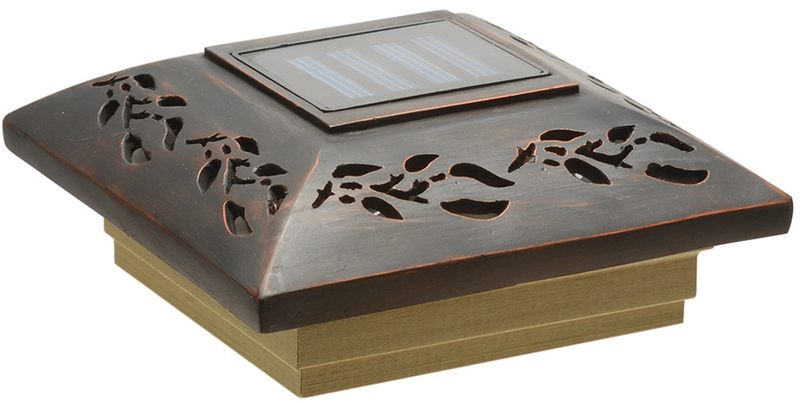 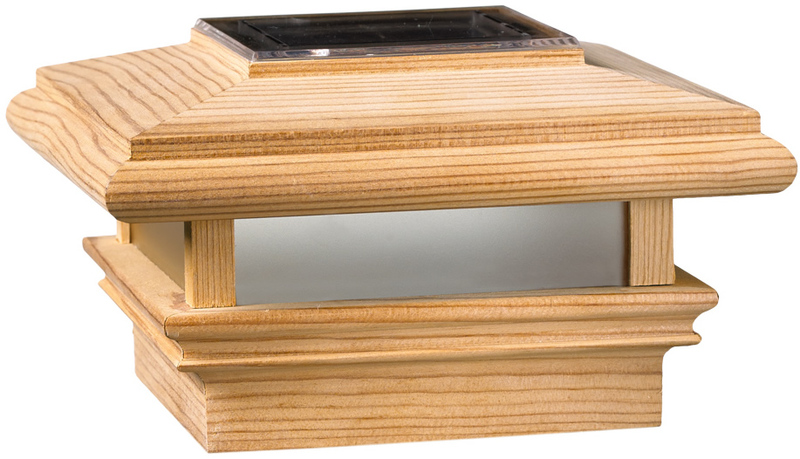 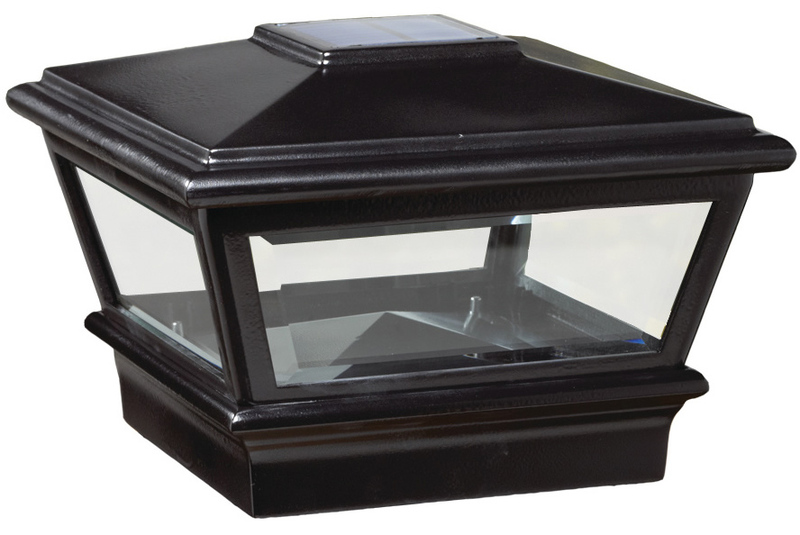 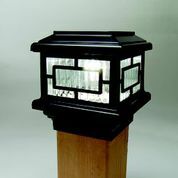 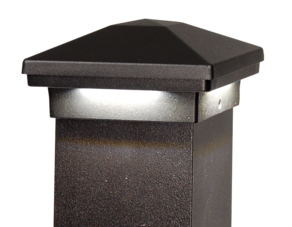 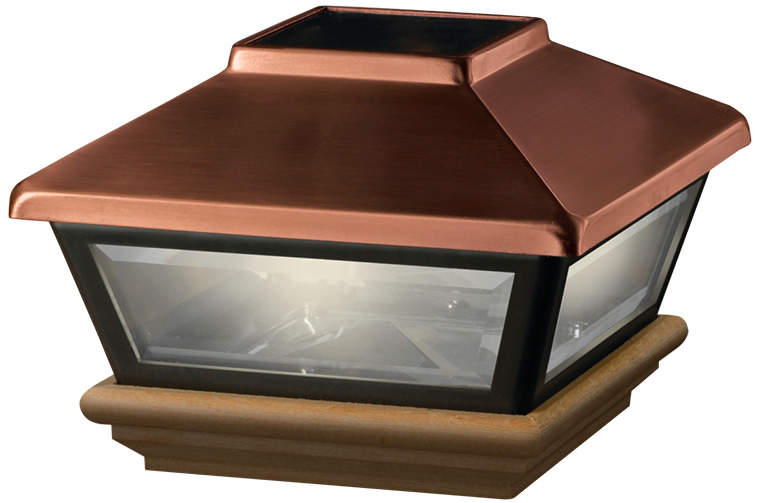 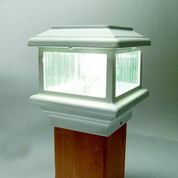 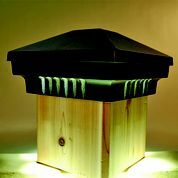 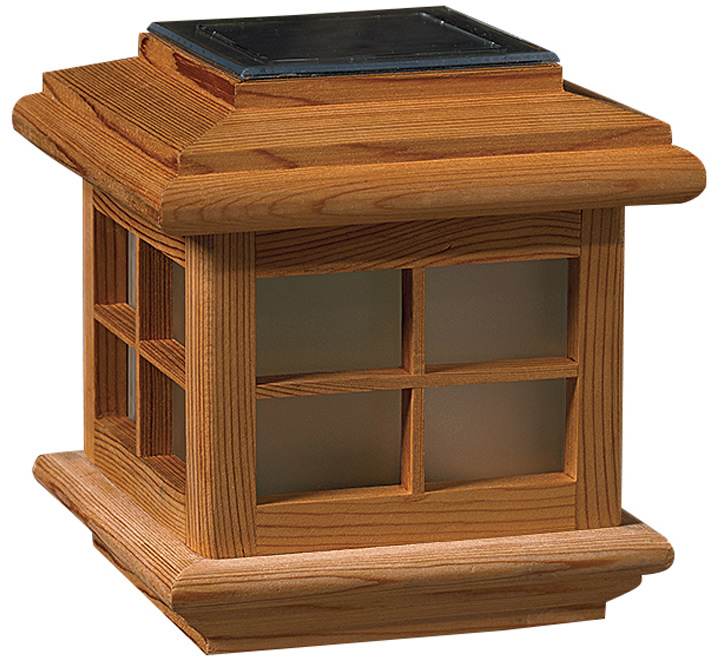 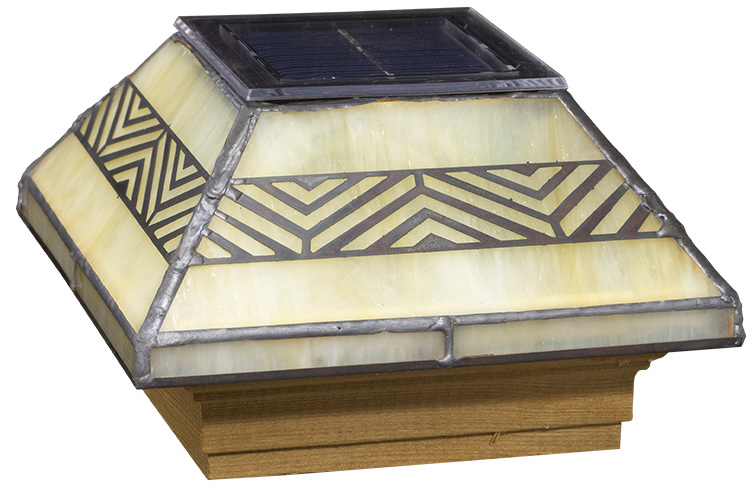 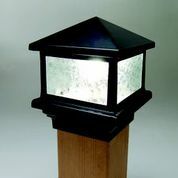 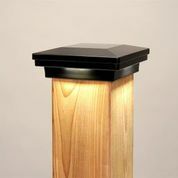 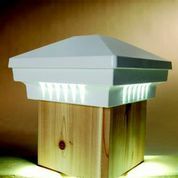 Aurora Deck Lighting's powder coated aluminum post caps come in a number of different sizes, shapes and colors. 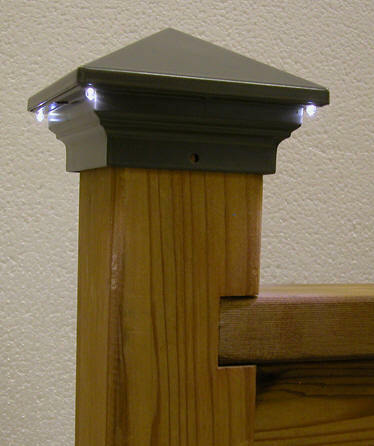 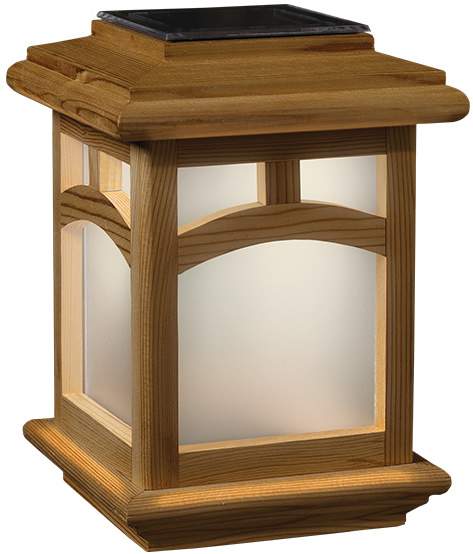 All lights are LED's, which use up to 80% less energy than traditional incandescent lights. 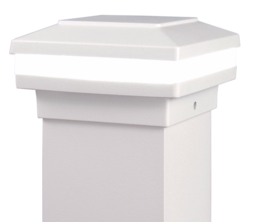 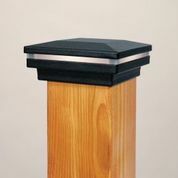 DeKor's Powder Coated Aluminum Post Caps are available for virtually any post size from 3 1/2" up to 6"
Timber Tech's Post Cap Light Module mounts below the Post Cap atop the Post Sleeve (both sold separately). 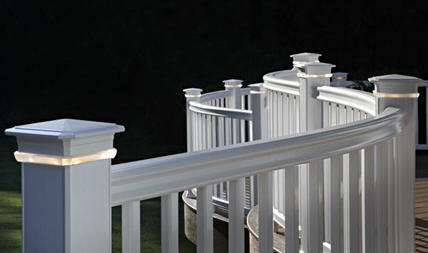 Available in 4x4 for Radiance Rail Express and 5x5 for Radiance Rail.